The creation of the Jarislowsky endowment fund at Wilfrid Laurier University (the “Endowment Fund”) was made possible by a $2 million donation from The Jarislowsky Foundation. As per the Donor Agreement between The Jarislowsky Foundation and Wilfrid Laurier University, the $2 million gift from the Jarislowsky Foundation will be managed as a segregated investment, but always under the control and oversight of the Wilfrid Laurier University. 2.1 The overall investment objective is to ensure that the Endowment Fund will be invested in a prudent and effective manner so as to preserve and enhance capital while generating sufficient return on investment to support the annual cash flow requirements of the Chairholder position. 2.2 The Endowment Fund consists of the original capital of $2 million donated by The Jarislowsky Foundation and possibly future gifts. 3.1 Primary Objective: The primary rate of return objective is to achieve an annualized rate of return at least equal to the total of the annual spending allocation plus inflation (Consumer Price Index, all items Canada) plus investment management fees. Jarislowsky, Fraser Ltd. recognizes the long term ability of equities to achieve higher real returns than fixed income. The targeted asset mix can include a higher equity allocation based on long term investment horizon and the Endowment Fund’s ability to bear short term market volatility. 5% FTSE TMX Canada 91 Day Treasury Bill Index, 30.00% FTSE TMX Canada Universe Bond Index, 20.00% S&P/TSX Composite Index & 45.00% MSCI World Net Index C$. The S&P/TSX Composite Index serves as the benchmark for the Canadian Equity portion. Securities of the Canadian Equity portion shall be categorized as follows with the holdings limited to the ranges set forth. The S&P 500 Index (C$) serves as the benchmark for the U.S. Equity portion. The MSCI EAFE Net Index (C$) serves as the benchmark for the International Equity portion. The FTSE TMX Canada Universe Bond Index serves as the benchmark for the bond portfolio and the portfolio will use the same credit rating scale as the Index. Bonds shall be diversified between Industrial, Utility and Financial Bonds. Government Bonds may be used for purposes of adjusting duration, bearing in mind that their yields are lower than those in the previous categories. The minimum quality rating of any bond purchased in the bond section shall be BBB. The bond section may be invested up to 100% in corporate issues. The fixed income portion of the portfolio may be invested in the JF Short/Mid Bond Fund as described in the appendix 1. 4.5 The cash and cash equivalents portion of the portfolio will be invested in the Jarislowsky Money Market Funds as described in the appendix 1. 60% FTSE TMX Canada Short Term Overall Bond Index. 40% FTSE TMX Canada Mid Term Overall Bond Index. The duration of the Fund will be managed within +/- 1.5 years of the benchmark. The Fund will use the same credit rating scale as the Index. Depending on the market conditions, the Fund would typically be overweight in quality non-cyclical corporate issuers and diversified between the corporate groups as defined by the Index. An additional component of the Fund may be invested in Provincial or Municipal issuers which are both higher yielding than Federal bonds. Generally the Federal component will be used for the purpose of adjusting duration. The Fund may be invested up to 100% in corporate issues. Not more than 25% of the total market value of the Fund will be invested in any one Index-defined corporate group, except Financials which will be limited to 60%. The average credit rating of all of the holdings in the Fund will be A or better. The minimum quality rating of any bond purchased in the Fund will be BBB. The maximum aggregate holdings of A or better rated corporate bonds of any one issuer will be 10% of the total market value of the portfolio. The maximum aggregate holdings of BBB rated corporate bonds of any one issuer will be 5% of the total market value of the Fund. The maximum aggregate holdings of BBB rated bonds will be 40% of the Fund.  Not more than 20% of the market value of the Fund will be invested in Maple bonds. The minimum quality rating of any short-term note purchased in the Funds will be R-1 Low as rated by DBRS. Should DBRS not rate an issuer the order of priority for Rating Agencies will be S&P, Moody’s and then Fitch. For purposes of measuring diversification, issuers will be classified into groups according to the FTSE TMX Universe methodology. The average term to maturity of the invested assets will generally be 90 days. The Funds will be diversified between Corporate and Government notes with the latter used primarily for purposes of liquidity and adjusting term, bearing in mind that their yields are lower than those in corporate category. The maximum aggregate holdings of notes of any one corporate issuer will be 8% of the total market value of each Fund. Not more than 25% of the total market value of each Fund will be invested in any one Index-defined corporate group, except Financials where the limit will be 60%. Floating Rate Notes (FRNs) with maturities of up to three years for government borrowers may be purchased. Not more than 20% of the overall market value of the Fund is to be invested in FRNs. Corporate FRNs will be limited to 10% of the total market value of the Fund. With the exception of FRNs, Notes and Bonds with remaining terms of one year or less may be purchased. Under normal circumstances, the liquidity reserve of each Fund will be between 0% and 10% of each Fund’s market value. The Funds will not invest in any asset-backed paper or structured products of any kind.